In the past few years, many Americans have been gripped by the hit Netflix series, House of Cards, the story of the corrupt House Majority Whip, Francis Underwood who exacts vengeance on his political adversaries standing in his way to higher power. Lately, the story of another Majority Whip moving up the political ladder permeates through news feeds across America. That would be the story of former Majority Whip, Kevin McCarthy (R-CA). McCarthy rose from his role as Whip to Majority Leader after the unprecedented primary defeat of sitting Leader at the time, Eric Cantor (R-VA). McCarthy recently seemed destined to be Speaker of the House after Speaker John Boehner’s (R-OH) resignation announcement. However, in the midst of this rapid ascendancy, McCarthy ran into a problem that had plagued Boehner in recent years. This was the resilience of more ardent conservative groups within the House, namely, the House Freedom Caucus. The Caucus felt Boehner was not adequately conservative, nor was he willing enough to block President Barack Obama’s executive actions. The Caucus attempted to oust Boehner from his role in the last Speaker elections and failed. After Boehner’s resignation, the Freedom Caucus effectively blocked McCarthy’s path to the speakership by unifying and demanding effective conservative leadership. After this great conservative victory, talks have drifted towards the election of Representative, and former Republican Vice Presidential candidate, Paul Ryan (R-WI) as the new Speaker. A Ryan speakership would undermine all progress the Freedom Caucus has made in the House and threaten the legitimacy of conservative movements throughout America. Ryan was once thought of as a conservative voice in the Republican Party, however his recent record suggests he is firmly in line with establishment types like Boehner and McCarthy that House conservatives have tried to prevent. He went left on immigration, and compromised on a budget deal in negotiations with Senator Patty Murray (D-WA) that fell far short of any meaningful spending cuts. He also rebuffed the Tea Party time and time again in his memoir, The Way Forward, criticizing its strategy. Ryan now says he will be open to a run for Speaker, so long as the entire Republican caucus in the House can unite behind him. This is rather ironic, given how he’s abandoned his support for the Tea Party and has not been willing to embrace their vision for combatting Barack Obama’s policies. Paul Ryan desires the support of his entire party, but will not lend its members the same respect. Ryan cannot unite this legislature now. Rejecting Ryan’s aspirations for Speaker are also important for staunch House conservatives in the influential House Freedom Caucus, as well as the Republican Study Committee (another conservative caucus). Taking down Boehner as Speaker has been one of the most highlighted agenda points of these two groups for years now. They have done that, and now prevented McCarthy, another establishment leader, from replacing him. With the rise in anti-establishment sentiment evident by the successes of presidential candidates like Donald Trump and Ben Carson in recent polls, this is the ideal time for these groups to stand strong and demand a true conservative Speaker. If these groups bend to the will of the establishment and believe that Paul Ryan truly is the unifier the Republican Party needs, then it will confirm in the minds of many Americans that the conservative wing of the Republican Party is, in fact, only an apparatus to obstruct any sort of meaningful progress in the legislature. Many in the conservative movement have rejected this image. However, given the current political climate, and the successes against Boehner and McCarthy, it may be impossible to refute if Ryan is allowed to become Speaker. 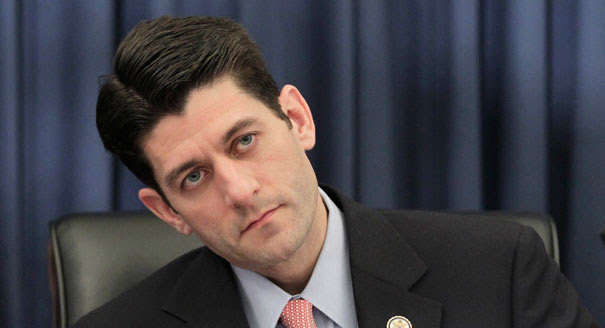 The yearnings for a Ryan Speakership are not due to lack of options emanating from the conservative wing of the House. Representatives Jeb Hensarling (R-TX), Bill Flores (R-TX), Lynn Westmoreland (R-GA), and Jason Chaffetz (R-UT) have all floated their names out there as potential candidates and all have received ratings of 78% or above from the conservative think tank, Heritage Action on their voting records, well above the House Republican average. The conservatives could reasonably unite behind any one of these candidates to ensure the next Speaker will actually defend conservative interests. Unfortunately, the idea that the conservative caucus cannot drive the agenda has permeated too far within the Congress. If the Freedom Caucus and its allies accept a Ryan Speakership and view the fact that neither Boehner, nor McCarthy will be the next leader of the Congress as a sufficient victory, then the aforementioned perception is correct and the accusations that House conservatives are only an obstructive force will be justified with flying colors. This year is unique, politically, for so many reasons. The foremost of which is the rise of the anti-establishment politicians. House conservatives have this unique opportunity to right the wrongs the establishment has allowed in Congress to this point. With this majority, the House should have harnessed the power of the purse to prevent the implementation of Obamacare, the unconstitutional executive amnesty that President Obama has pushed on the nation, and should have been able to defund a grossly mismanaged organization receiving federal funds in Planned Parenthood (regardless of whether or not they profit from the sale of fetal tissue). However, this has not been the case with Speaker Boehner thus far. The time has come to make a change that has been a long time coming. The fate of the conservative movement sits in the House, and, if it is allowed to fail, the house of cards will fall and the legitimacy of conservatives in all offices will fall with it. This is ridiculous. Our government was built on the basis of the majority rule and cooperation and compromise. You and other tea party supporters just make the whole Republican party look awful and will prevent ANY conservative proposals from being adopted and certainly could lead to a defeat of any GOP presidential candidate. There are 36 members of the House Freedom Caucus. 36! For you to say that these 36 members of the House should be able to control the entire House seems to me like a coup of how the House was designed to operate…. MAJORITY RULE.